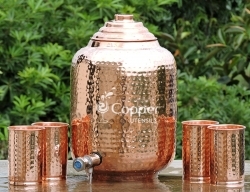 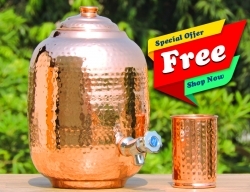 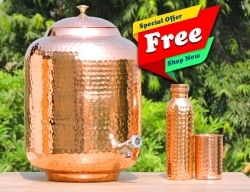 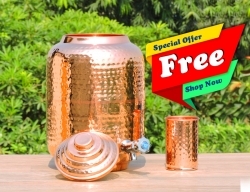 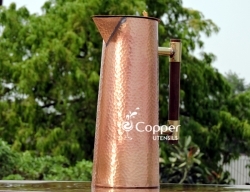 The set consists of a twelve-liter pure copper water dispenser with six tumblers. 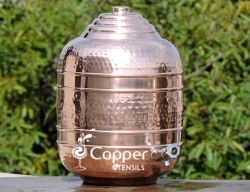 The dispenser comes with a well-fitted lid to prevent dust and dirt from entering. 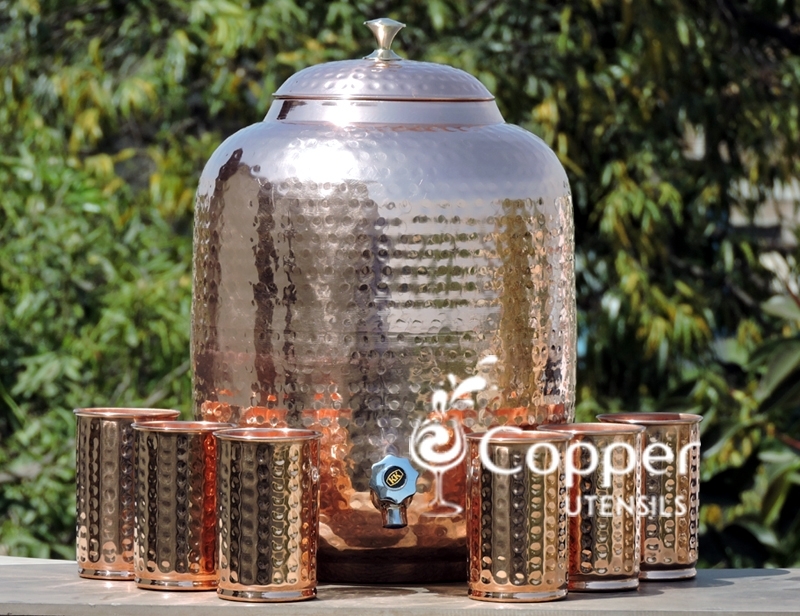 A perfect way to store and drink Tamra Jala. 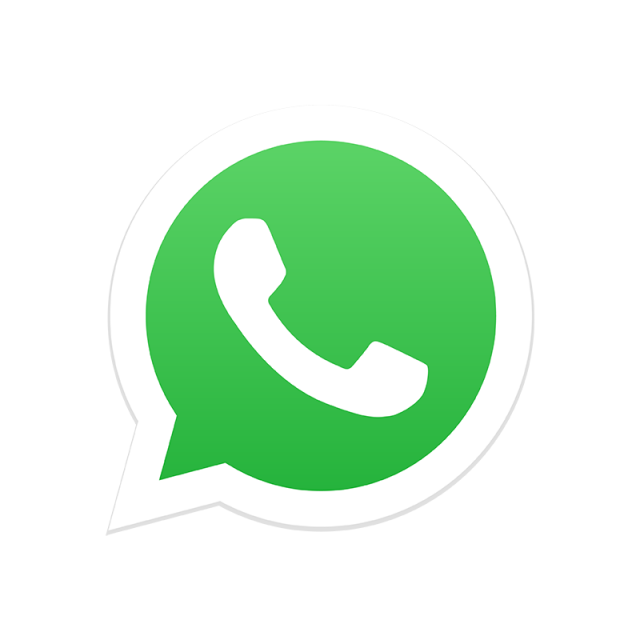 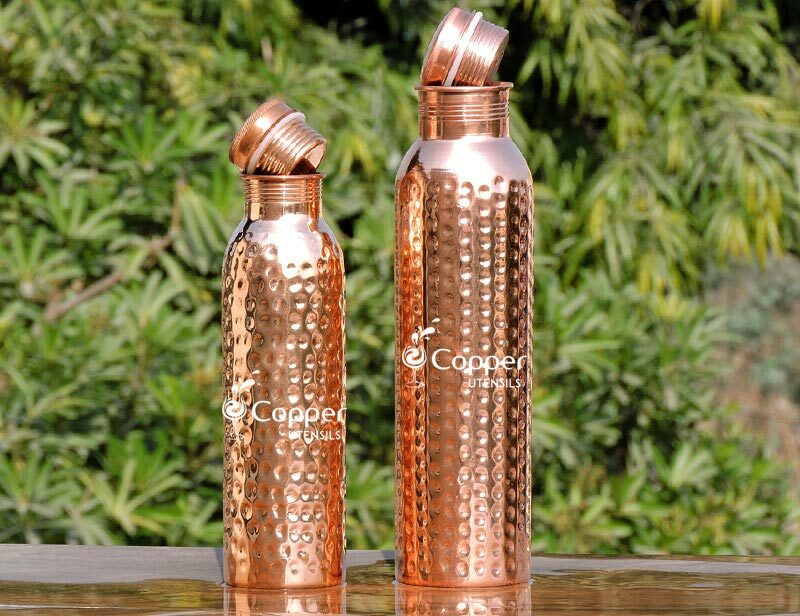 Studies have proved that disease-causing bacteria cannot survive on the copper surface for more than a few hours. 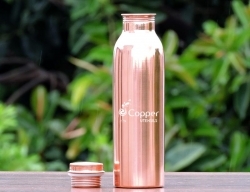 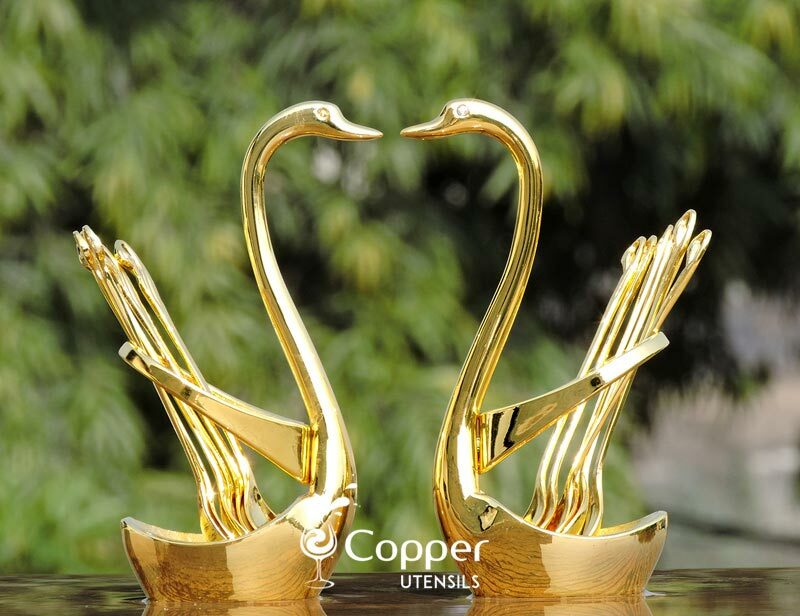 Copper helps balance the pH level of water, neutralize toxins and ionize the water making it suitable for drinking. 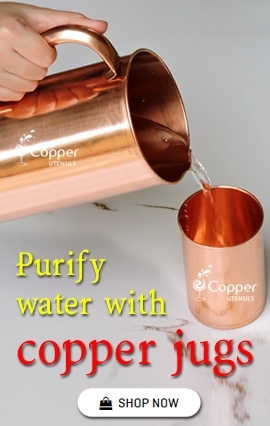 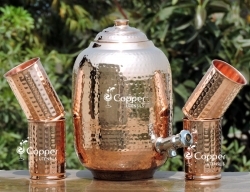 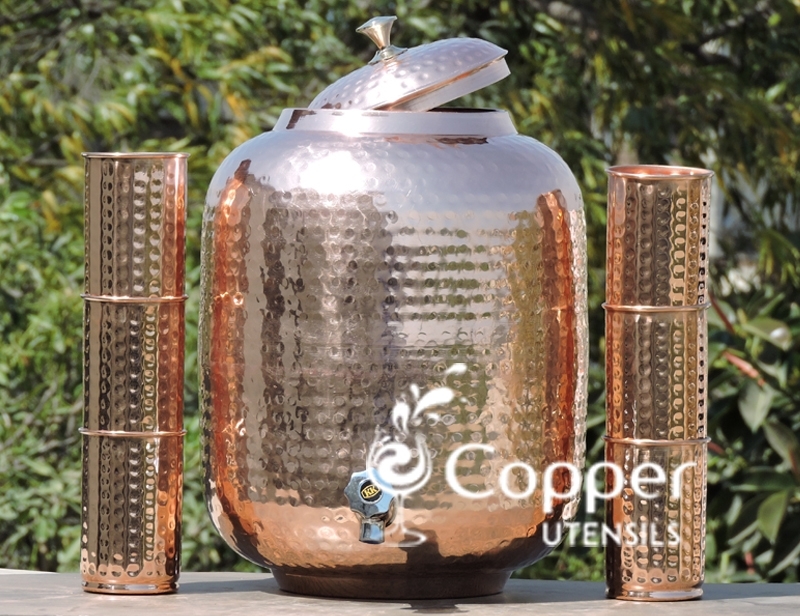 Our twelve-liter pure copper water dispenser with six tumblers is the most practical way to prepare copper water for your entire family. 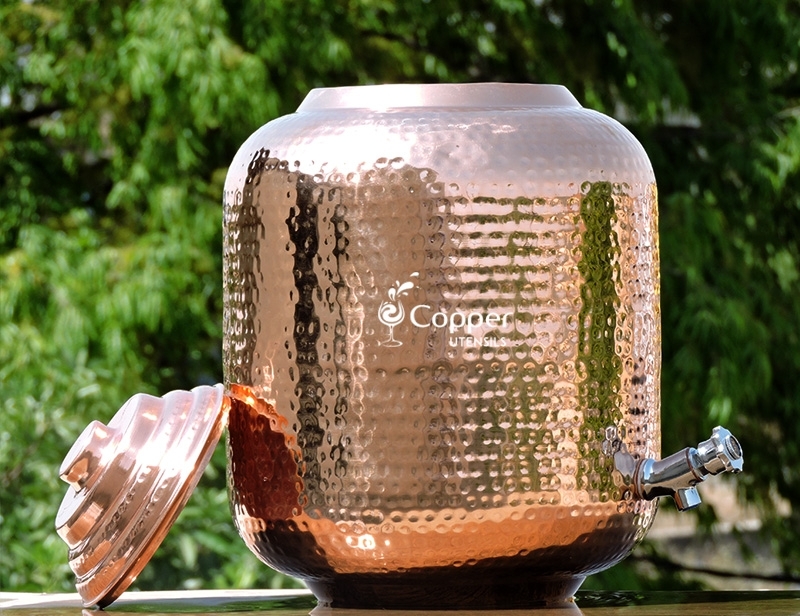 The dispenser is attached with a stainless steel tap for dispensing the water easily. 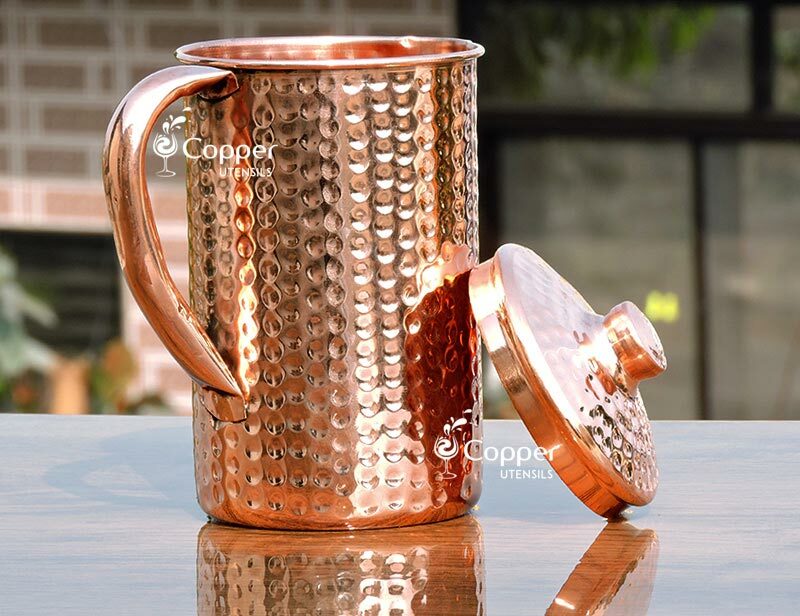 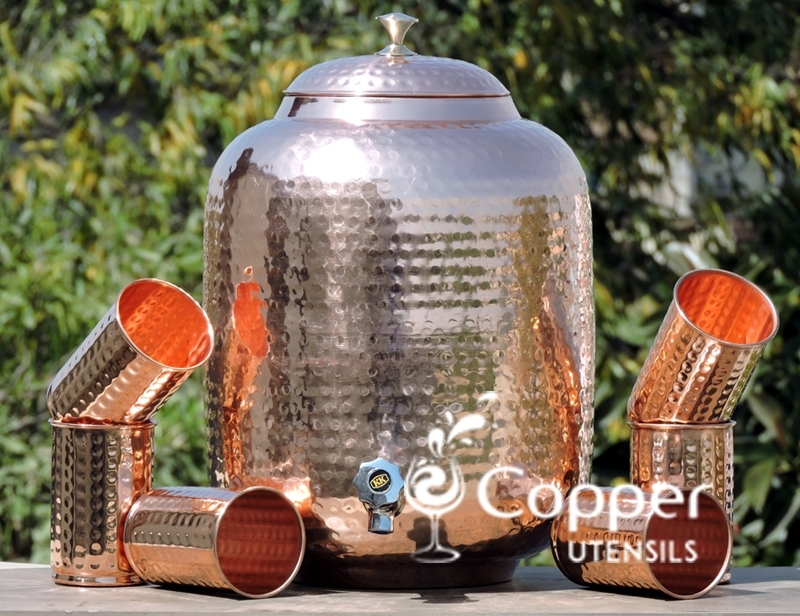 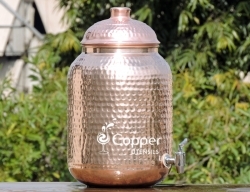 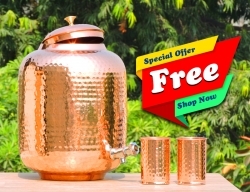 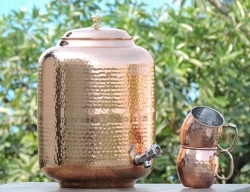 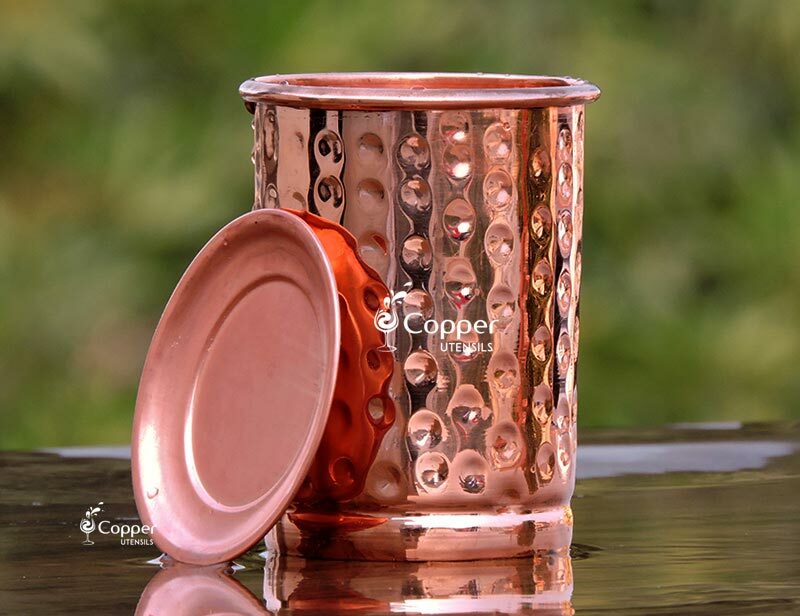 The dispenser and the tumblers are made of pure copper using traditional hand hammering technique. 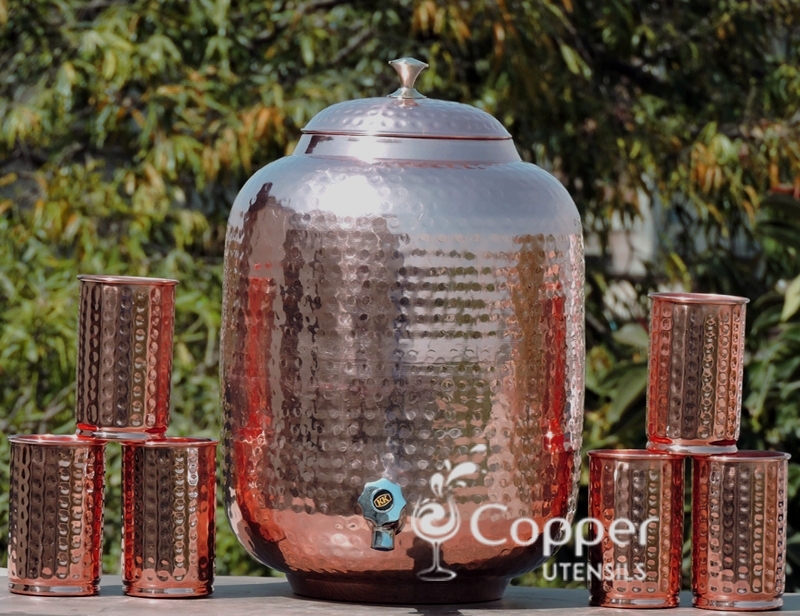 The twelve-liter capacity is more than enough to fulfill the daily requirement of water for a family of 7-10 members.